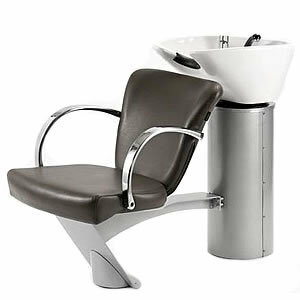 Direct Salon Supplies Palermo 2000 Washpoint Complete,, a washpoint which is at home in the small care home, salon or a big college. A link unit and towel tidy link are available in silver to match this unit. for the Milan 2000, The Italian Tilting Basin is only available in white, the taps are prefixed and the seat is in black and also features an integrated seat slider. Offering 60mm of fore and aft adjustment. simply lift the lever whilst sitting in the chair to adjust the distance between the chair and the basin.